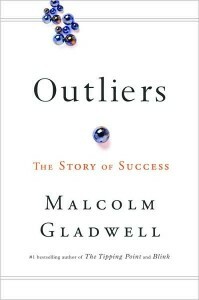 I’ve just finished reading Outliers, by Malcolm Gladwell. It’s been a long time since I’ve done a book report (to a very patient but acerbic High School teacher) but that fact, combined with my need to go back through this excellent read and summarise for my own benefit, has pushed the task onto me. Outliers begins with seven pages looking at the unusual health of the small country hamlet, Roseto Pennsylvania, the residents of which are mostly settled immigrants and their descendants from the same small country town in Italy. The townsfolk were discovered to have significantly lower incidences of a spectrum of health issues and social problems ranging from heart disease, ulcers, suicide, alcoholism, drug addiction and even crime in general than those found in other towns in the US – even small towns not far away, also settled by Italian immigrants. Gladwell refers to this unusual occurrence as an Outlier – an observation that is numerically distance from the rest of the data. The cause of Roseto was eventually discovered by a physician name Stewart Wolf, but only after a significant investigation that included historical research, interviews, various medical tests, diet and lifestyle analysis, geographical influences, even religion. Sorry but you’re going to have to read the book, besides – revealing the secret of Roseto is not the intent of Outliers – the investigatory process is. 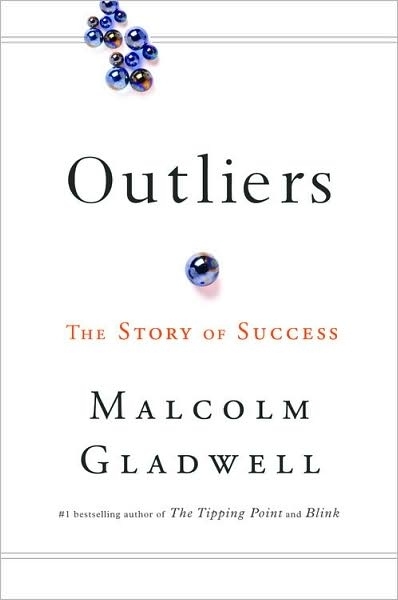 In Outliers Malcolm Gladwell examines the concept that there are members of our society – individuals, groups, nationalities both regional and cultural – that lie outside the statistical ‘norm’, and seeks to identify the true reason for the success (or lack of) these individuals and groups. Along the way you’ll read about the fundamental differences between East and West in work attitudes and the implications this has for our concept of educating our children. Aviation receives some special attention with a couple of accident investigations reviewed, including some expert commentary from an old friend of mine, Suren Ratwatte (how cool is that? Aviation is such a small world). You’ll read about the steps Korean Airlines undertook to correct some cultural issues as they related to the flight deck at the turn of the century; about similar issues in a South American airline accident into JFK. The issues of authority gradient and uncertainty avoidance are explored and evaluated. Having initially established (I would say hinted at considering the development it undergoes as the book progresses) his theme with Roseto, Malcolm Gladwell has this fabulous ability to progressively develop his case in a logical manner – and then you turn a page and embark on a journey of ten pages of fascinating but seemingly unrelated text. You get to the end, and without appearing to make any effort at all, the relevance of what you’ve just been reading smacks you in the eyes and the book continues on. Outliers is a book of very readable book of facts, stories and hypotheses. The following points are not summaries of what you’ll read in Outliers, but perhaps give you an idea of the range of what you’ll encounter as you work your way through this fascinating book. – A common thread that unites hockey players in the top league teams is Canada is their date of birth. Because of the annual cutoff date nature of player selection, a 12 month spread is achieved each year. Those older kids bring more experience and skills to their positions and therefore become the focus of better training and faster progression. Eventually this date based anomaly of recruitment becomes a self fulfilling prophesy – leaving behind players of equal or greater talent who have the miss-fortune of being born during the wrong part of the year. – The role of very, very hard work and practice – the “Ten Thousand Hour Rule” cannot be overstated in may of the success stories around us. This is detailed in a discussion of Bill Gates, The Beatles, Classical Musicians and more. – The merits of two opposing methods of raising children – “concerted cultivation” vs “accomplish of natural growth”, which are essentially identified along class lines – and the impact that is likely to have on Outliers. All of these and more make Outliers a fascinating read that will spur you off into many interesting areas. Like all of Malcolm Gladwell’s books Outliers is an eclectic collection of connected stories that will keep your interest, and keep you thinking.